The first Sony branded handset after a long period of time has finally started shipping globally. Sony's blog announced this news yesterday but failed to mention when exactly the handset will reach individual markets. Instead Sony is relaying on local carriers to relay the news to you, which is fine except a lot of regions don't have carrier subsidized handsets. Anyway, at least the phone is shipping so you can expect to see it shortly. 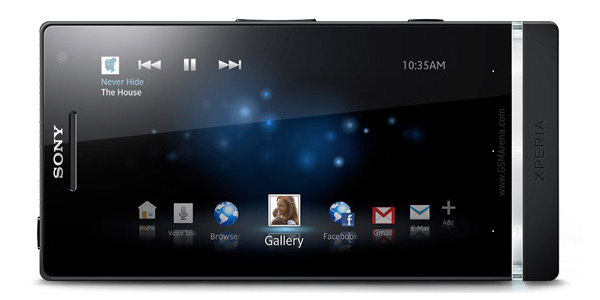 To give a recap of its features, the Sony Xperia S comes with a 4.3-inch 720p display, dual-core 1.5GHz Qualcomm Snapdragon processor, 12 megapixel camera with 1080p video recording, 1GB RAM, 32GB internal memory, 1,750mAh battery and Android 2.3 Gingerbread, which will be updated to Android 4.0 Ice Cream Sandwich in Q2 this year. You can check out our hands on preview of the Xperia S here and a comparison with the Galaxy S II here.